Sciblogs | When do we stop vaccinating against an infectious disease? Australia was declared measles-free in 2014. However, the recent importation of a case of measles into Australia from Indonesia illustrates the threat this disease still poses to Australians. It also underscores the importance of maintaining high vaccination rates against rare diseases to ensure re-introductions don’t lead to outbreaks. But when will we be at a point where it’s safe to stop vaccinating against measles? Or against other rare and infectious diseases? In short, vaccinating against an infectious disease can stop once the threat of future transmission is deemed sufficiently low. This may occur as a consequence of a disease being eliminated or eradicated. An infectious disease is considered to be eliminated from a geographical region if the number of new cases observed over some period of time in that region drops to zero. But the ease of global travel can result in previously eliminated diseases being re-introduced. Recent outbreaks of measles in Australia highlight how imported cases can lead to serious outbreaks in regions declared to be disease-free. High levels of population immunity from good vaccine coverage can protect against outbreaks following disease re-introductions. For example, polio is considered eliminated in Australia (since 2000). However, in 2007 wild poliovirus was isolated from a man in Australia who had recently arrived from a foreign country. On this occasion, good vaccine coverage and consequent population immunity prevented the imported virus from spreading in the community. If a disease has been eliminated globally it is said to be eradicated. There is then no risk of re-introduction to a disease-free region. The eradication of an infectious disease is much harder to achieve than elimination. This is mainly due to the global level of coordination required. Only one human disease has been successfully eradicated. 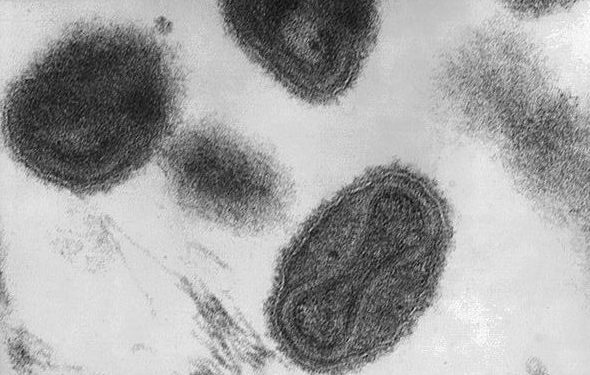 Smallpox was declared eradicated in 1979 following a lengthy but coordinated global effort. Smallpox had many characteristics that made it suitable for targeted eradication. For example, it had obvious symptoms that allowed easy identification of cases, while a short incubation period reduced its ability to spread undetected. An effective vaccine also existed for smallpox, which further aided eradication efforts. Elimination and eradication are both more challenging for some diseases than others. For example, eliminating diseases that can infect other species, such as malaria, or survive in the wider environment, such as cholera, is more difficult. Diseases that evolve rapidly, such as influenza, are also likely to be with us for some time. The safest point to stop vaccinating against a disease is obviously after it has been eradicated globally. In practice, routine vaccination programs are ended before this. When the risk of infection is deemed low enough, the human and economic costs of routine vaccination may outweigh the benefits, leading to the decision to discontinue the program. All vaccines have an economic cost to produce and deliver, and some may also have side effects. For example, smallpox vaccination, while safe for most people, occasionally caused more serious reactions. However, as smallpox was such a dire disease, this cost was deemed acceptable in countries with high disease prevalence where the risk of infection was substantial. In countries in which smallpox was eliminated, this cost was no longer justifiable. Instead, routine vaccination was ended before eradication because the risk of harm from the vaccine exceeded the risk of harm from the disease. Similarly, routine vaccination against tuberculosis (TB) is not considered necessary in low-prevalence countries. In Australia, routine vaccination against TB ceased in the mid-1980s. While serious complications from the TB vaccine are rare (less than one in a million doses, the majority of which are self-limiting), the vaccine is only about 50% effective in preventing TB disease. The main benefit of the vaccine is that it significantly reduces the risk of serious illness from TB, particularly in children. Hence, in countries like Australia where TB is rare, the overall benefits of routine vaccination are minimal because it is not expected to significantly reduce the number of infectious cases. Instead the TB vaccine is targeted toward high-risk groups, such as the close contacts of people with TB. Malaria and wild poliovirus are two well-known pathogens currently targeted for eradication by the World Health Organisation. Wild poliovirus is nearing the final stages of eradication, the so-called endgame of the disease. It has been eliminated in all but two countries (Afghanistan and Pakistan). A number of challenges emerge during the endgame of a disease. Infection is circulating at low levels and possibly only in hard-to-reach groups. This can make case detection and targeted control efforts difficult. Communities in which circulation of a disease has been greatly reduced can also become disengaged from eradication efforts, leading to disease resurgence. Political and social factors, such as weak health systems, conflict and population displacement, can amplify the effects of non-compliance with eradication efforts. Measles is another disease for which global eradication is deemed technically possible. Despite elimination in some countries, including Australia, targets for measles elimination in Europe have not been met in recent years. Until global eradication of highly transmissible diseases such as measles and polio is achieved, routine vaccination programs will remain an effective means of protecting populations from the risk of outbreaks that can result from imported cases.